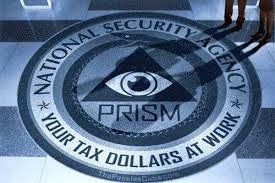 On Monday, an Arizona state senate committee became the first legislative body in the country to pass a bill designed to thwart surveillance programs from the National Security Agency (NSA). Senate Bill 1156 (SB1156), the Arizona 4th Amendment Protection Act, was introduced by Sen. Kelli Ward and 14 other sponsors and co-sponsors. The bill faced its first hurdle today, with an important hearing and vote in the Senate’s Government and Environment committee, where it required passage by majority vote to move forward. After a lengthy debate with significant opposition from state agencies, SB1156 was passed by the committee with a vote of 4-2. One member was absent, not voting.